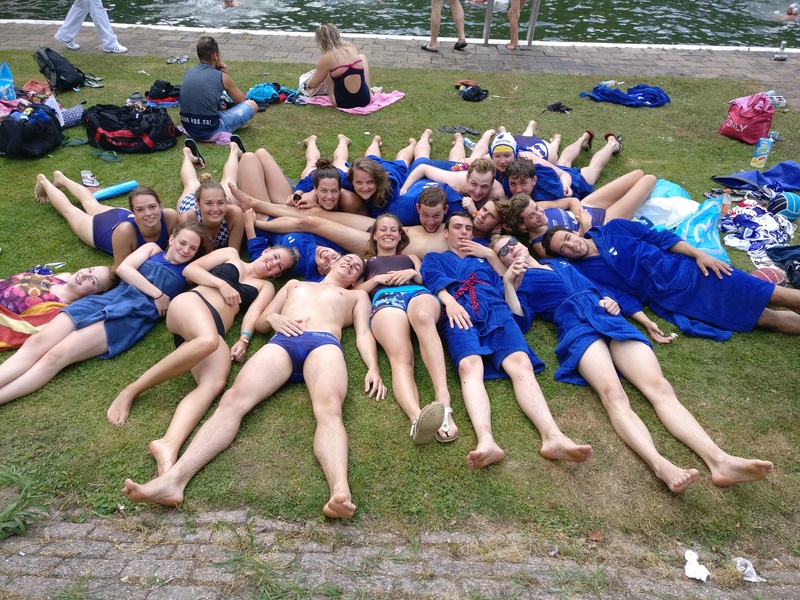 After a long journey to the beautiful eastern part of the Netherlands, our Vikings arrived at the BZC water polo tournament Galgenveld. And our Vikings would not be the admired Vikings we all love and adore, if they would not have partied their asses off, both on Friday and Saturday! The next morning, however, some matches needed to be played. But what is better against a hangover than a cold dip in the pool and playing water polo? Overall, it was a weekend we will never forget, as seen in the friendship circle photo below!